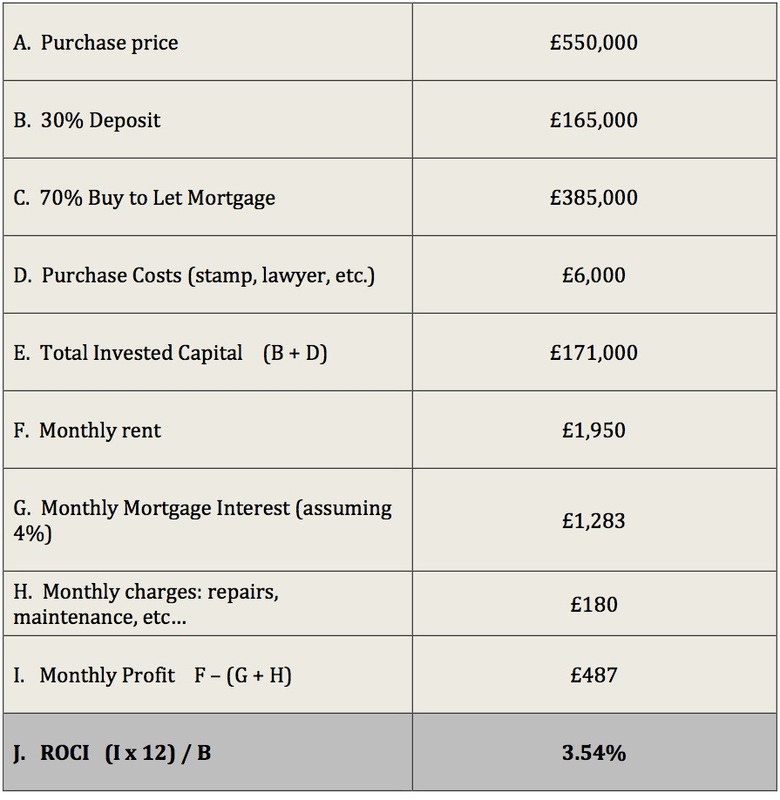 Assessing Property Investment – Should I Use Yield or ROCI? Nowadays a return of 4.25% might be seen as a potentially attractive proposition compared to Bank Saving accounts for instance. However, it is not that simple. Yield does not take into account a few important aspects such as on going costs related to the property like maintenance, repairs, etc… It also assumed that you are a Cash Buyer. 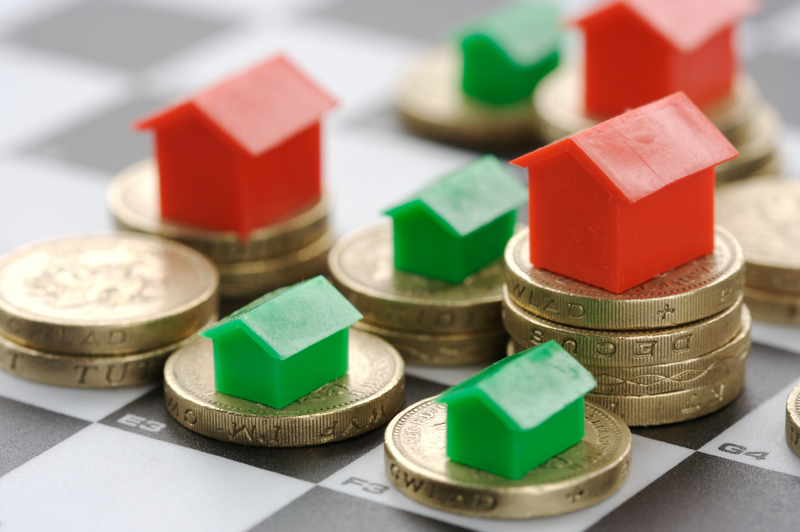 If you finance your purchase with a Buy to Let Mortgage, you might be only putting down 30% as a deposit. As the ROCI calculation shown, the actual return on investment is 3.54% not the 4.25% as the Yield suggested. Even more revealing, a slight change of 0.5ppt of the mortgage interest rate will have the following impact: with an interest rate of 4.5% ROCI will become 2.37% and with an interest of 3.5% the ROCI will be 4.70%. Potentially shifting the decision one way or another. To conclude, if you are buying an investment property with a mortgage, make sure to assess the potential return using ROCI not Yield. It is also important to shop around for mortgage, as small interest rate change might impact greatly the potential property net incomes. Spain is Back on its Feet….Growth has Returned!